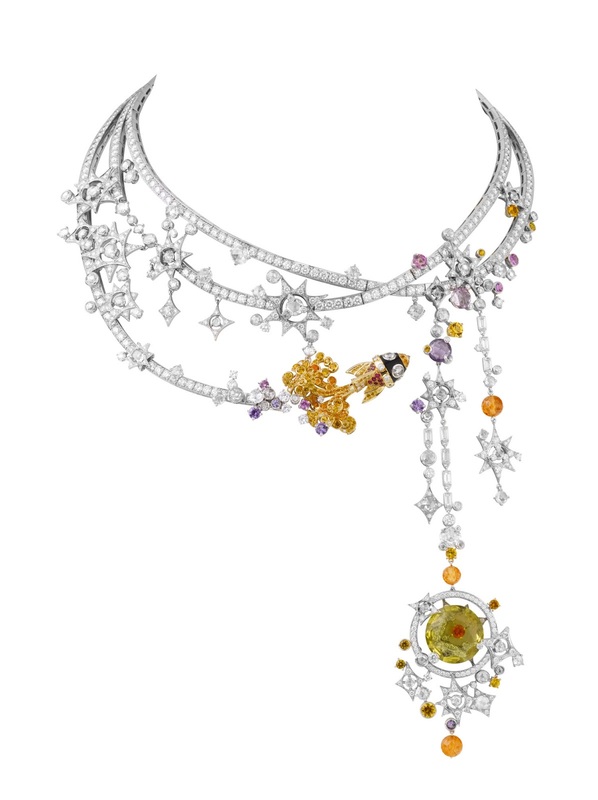 The Forbes Galleries could not be a more perfect gallery space for viewing jewelry. The exhibit is located on the ground floor just off the lobby of Forbes Magazine headquarters in Greenwich Village and is one of several shows currently on view. 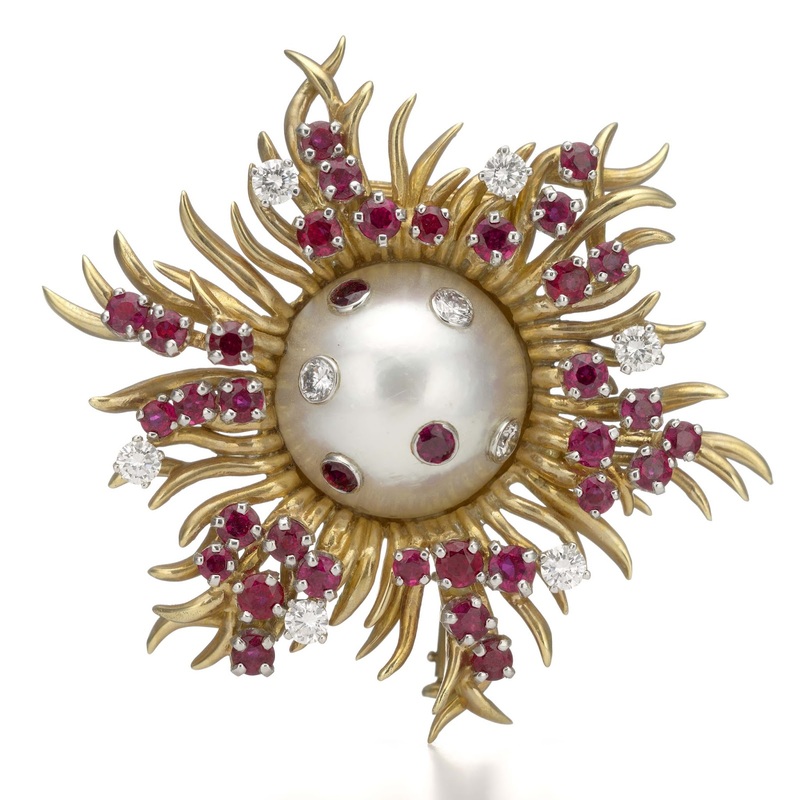 Although this is primarily a Jewelry Exhibit, it has wide appeal—bring the kids! 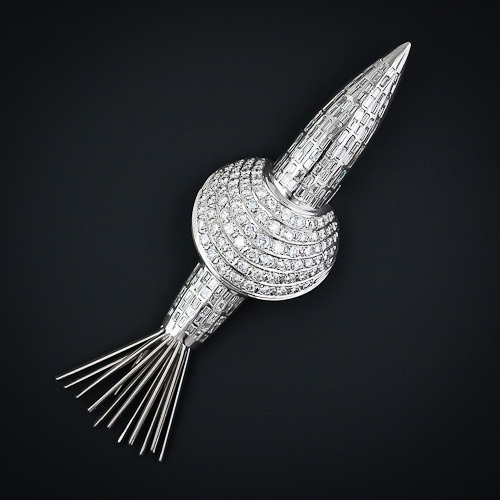 Coins, commemorative pins and ephemera create a context for the jewelry that illustrates the timelessness of human wonder about the heavens (AKA Outer Space). Anyone interested in space pop-culture dating back to late nineteenth century would enjoy the exhibit. To those visitors who may be unfamiliar with the diversity of the world of jewelry, the show is a primer on the wide range of techniques and materials employed by the industry and jewelry artists. round red spinel and round beryl. 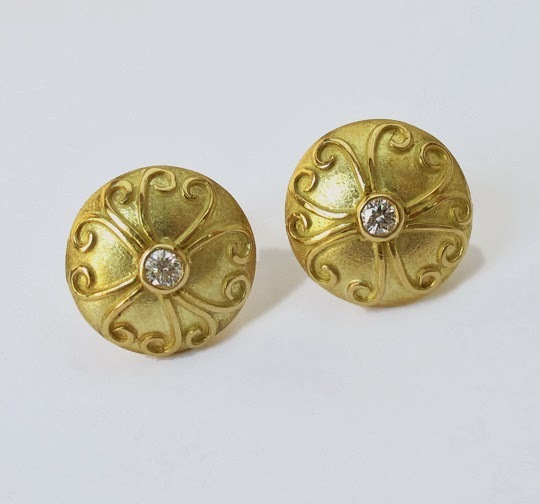 Jewelry fans will delight in a wonderful mix of costume fashion jewelry, artisan jewelry and fine jewelry made from precious metals and gemstones. 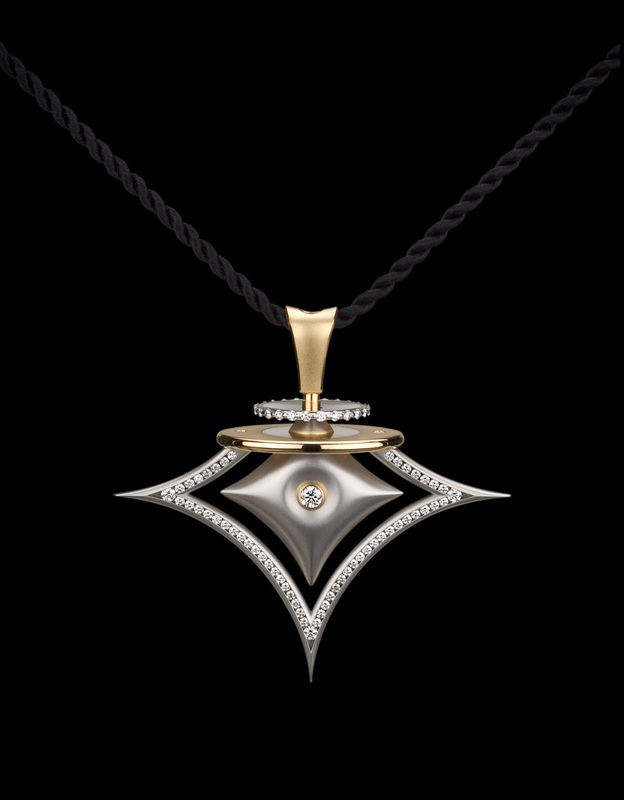 Examples range from the most exquisite precious like the Tampa Necklace by Van Cleef & Arpels and Tiffany & Co Schlumberger to base metal costume, to pieces made from modern materials like polymer clay, fiber optic and space metals (to name a few). Also included are newer pieces by contemporary jewelry designers. Elyse Zorn Carlin has curated a diverse mix of pieces, old and new, that beautifully illustrates the artful expression of the Space Age through the jewelry medium. This show is a refreshing reminder that jewelry can be playful and whimsical and that it’s not always about the ‘bling’. The Forbes Gallery is a gem! The downtown location makes it a perfect starting point for a day exploring Lower Manhattan. Admission is free.